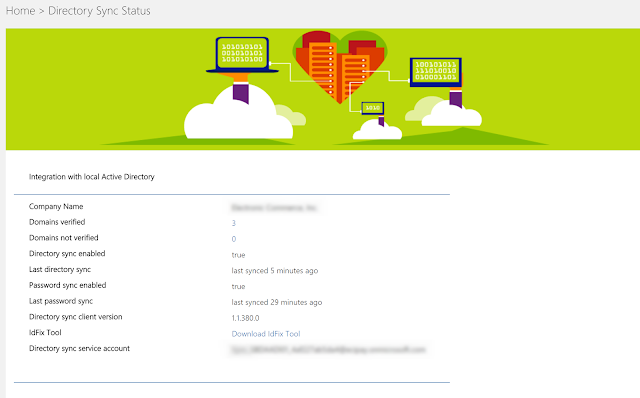 I enabled Azure AD Sync this morning and was surprised to find that none of my AD accounts were syncing. 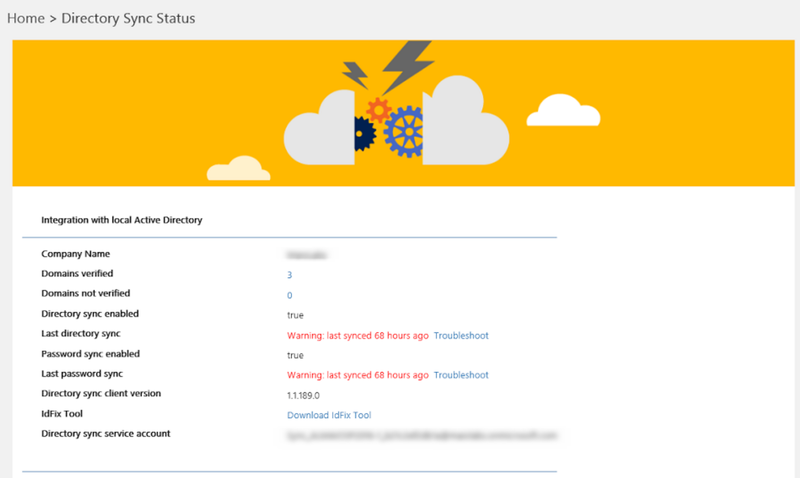 We had AADSync enabled once before, but disabled it due to some issues with our Active Directory environment. This time around, I configured some filtering so that only a few accounts would be synced initially. However, after enabling synchronization, none of the accounts showed up in the Office 365 Portal. After looking through the cmdlets, we can see there is a cmdlet called "Get-AdSyncScheduler". 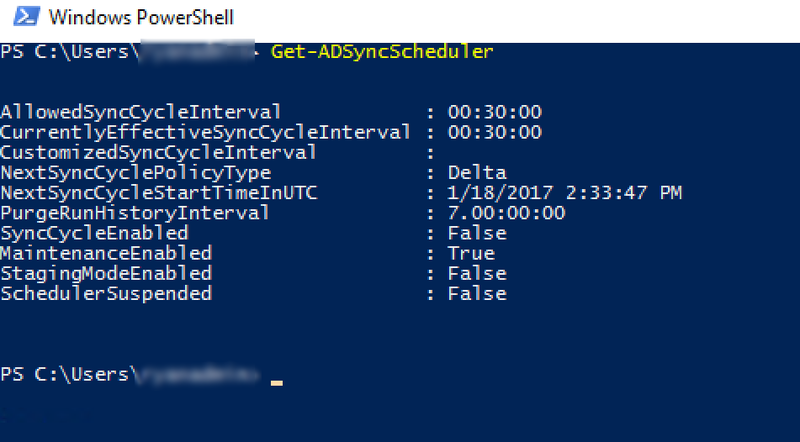 You may not be able to tell by the name, but this cmdlet will provide details regarding the sync schedule for AADSync. Microsoft is also adding some AADSync Health Monitoring to the Azure Portal, though this feature is still in preview.